There were lots of important reports on the U.S. economy released this morning. 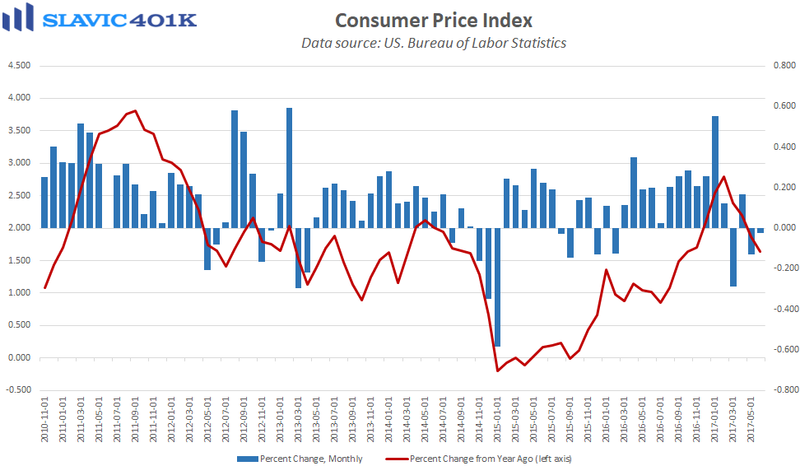 First, data from the Bureau of Labor Statistics (BLS) showed that household inflation pressures remained muted in June, as the consumer price index (CPI) for all urban consumers was unchanged from May. That was the 4th monthly reading in a row that was softer than economists had expected, and year-over-year growth has now fallen to just 1.7 percent, the lowest reading since October. 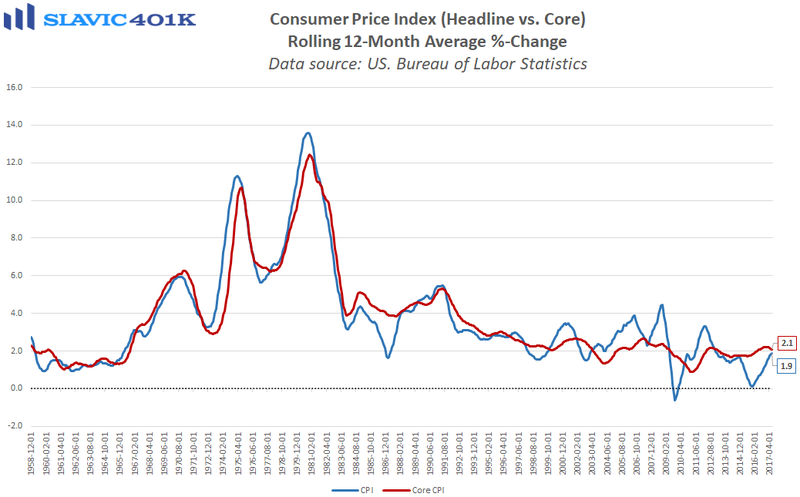 Even “core” CPI, which excludes the volatile food and energy components, rose by just 0.1 percent in June. That was weaker than anticipated and annual growth slid to a 28-month low. Declines in the prices of household furnishings, clothing, and hotel stays more than offset the gains seen in shelter and medical services costs. 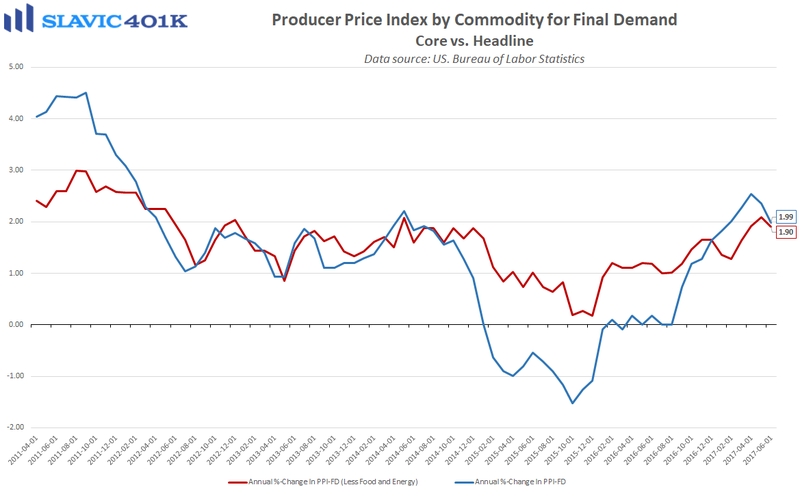 Today’s CPI report also agreed with the latest reading on the producer price index for final demand (PPI-FD), i.e. the BLS’s gauge of wholesale inflation pressures in America. 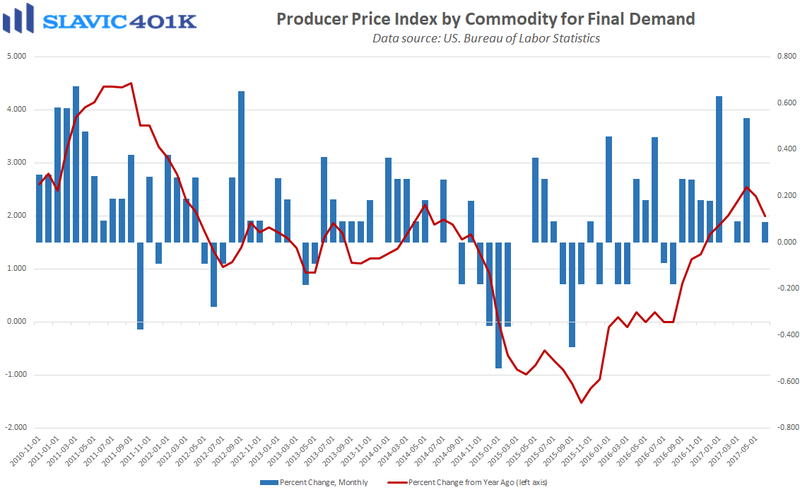 Specifically, the PPI-FD lifted by 0.1 percent in June, slightly more than expected but still not enough to prevent the year-over-year growth rate from dipping back below 2.0 percent for the first time since January. Core PPI-FD was also weak last month, with the only noteworthy increase being a 4 percent jump in the prices of securities brokerage and investment advice. Altogether, both reports will help officials at the Federal Reserve justify a slower pace of interest rate normalization. 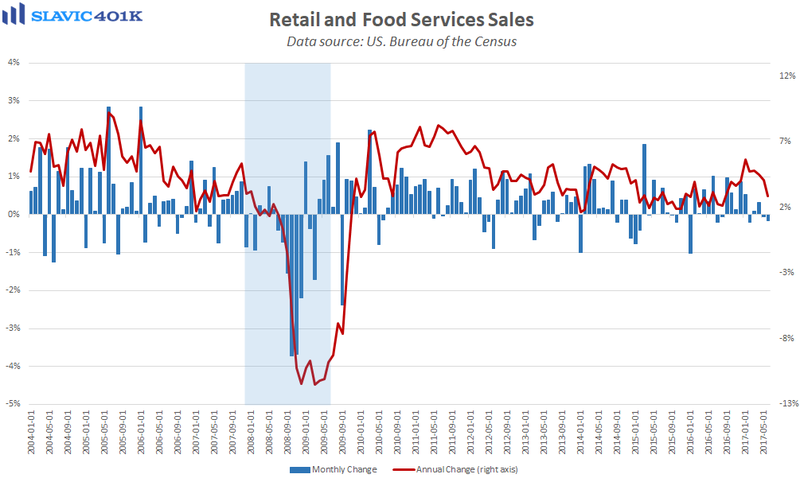 Next, a report from the U.S. Census Bureau showed that advance estimates of retail and food services sales in June totaled $473.5 billion. That was a 0.2 percent decrease from May and significantly worse than economists had expected. The declines were broad based last month, including large losses at department stores, sporting goods outlets, and restaurants. 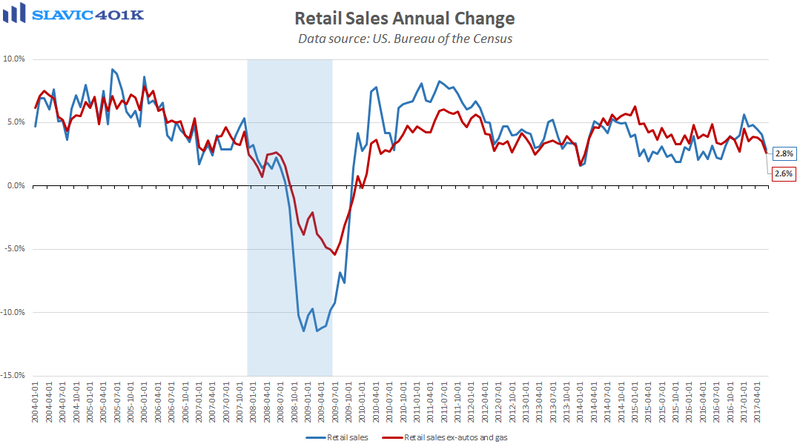 Core retail sales (excluding automotive and gasoline sales) fell 0.1 percent in June, nowhere near the 0.4 percent gain analysts had anticipated. 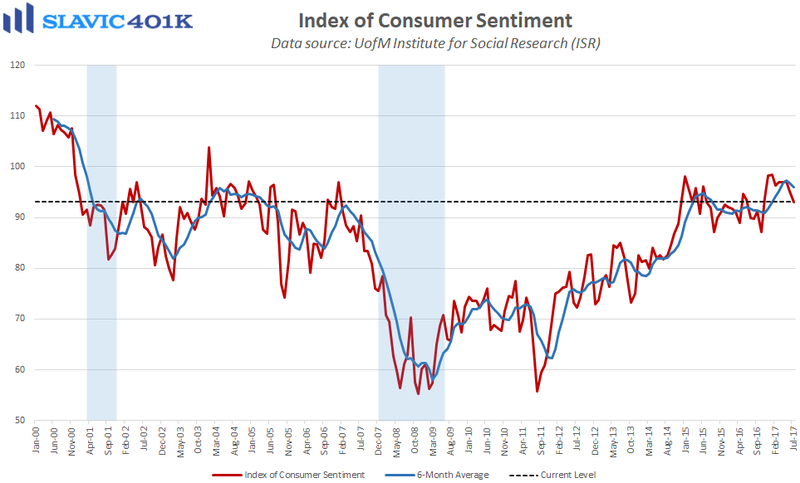 Overall, this was a disappointing report which suggests that even in a tightening labor market, consumers will remain cautious about spending until they see a meaningful pickup in wage growth. Today’s soft retail sales data should also cause some analysts to lower their projections for second quarter U.S. gross domestic product (GDP) growth. 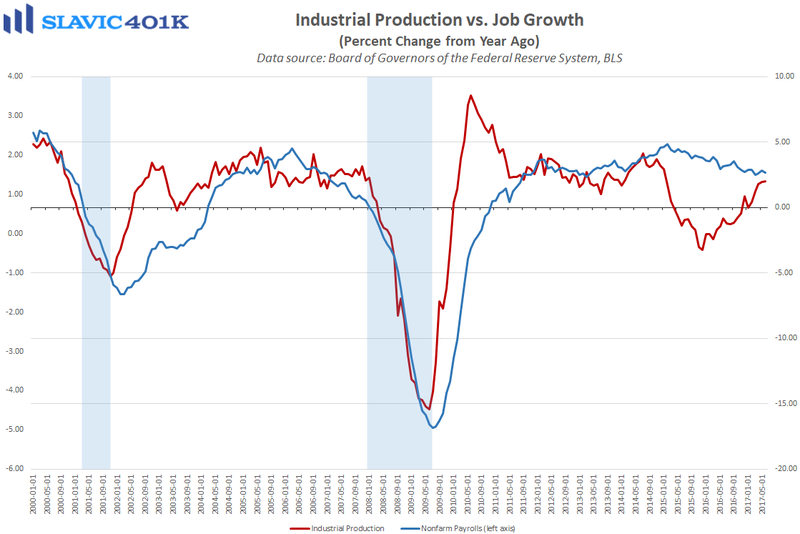 Finally, data from the Federal Reserve Board of Governors showed that industrial activity in America rebounded last month, as total production rose by 0.4 percent. That was better than the 0.3 percent gain economists had expected and the May figure was revised higher. As a result, the year-over-year pace of growth increased to a 29-month high. 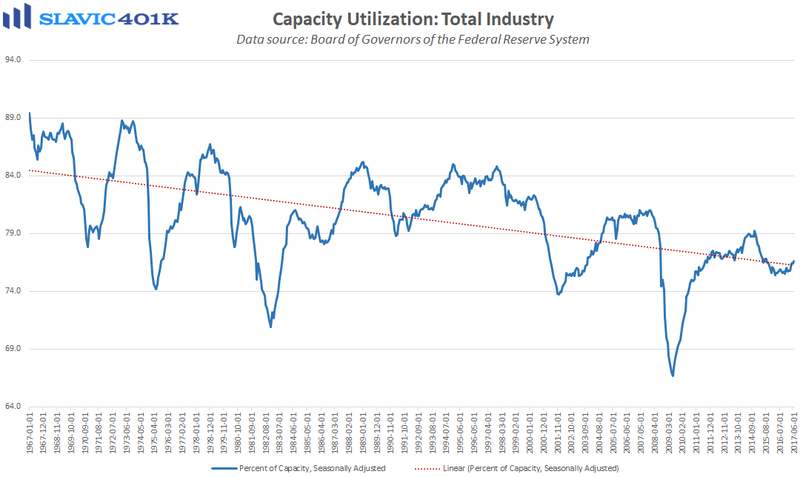 Further, manufacturing, which makes up roughly 75 percent of all industrial production, lifted by 0.2 percent in June, and capacity utilization, sometimes used as a leading indicator of inflation and potential output, increased to 76.6 percent, the best reading since February.